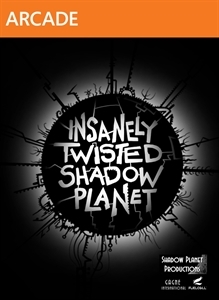 Insanely Twisted: Shadow Hunters is the first downloadable expansion for Insanely Twisted Shadow Planet. The nefarious entity that corrupted your home world's star has been defeated but not completely eradicated. The remnants are now lurking in a nearby asteroid belt and gaining strength, and it’s up to our hero and a team of UFO pilots to search it out and destroy the entity once and for all!